Growing from this rich artistic tradition, IAMA houses a number of art works by His Holiness Dorje Chang Buddha III that are on display in the United States. 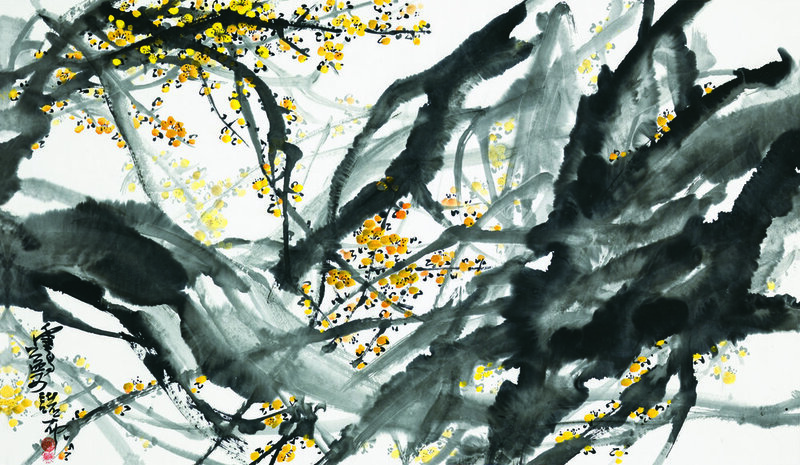 He has developed 16 unique and innovative styles of painting as well as unique Yun sculptures. He coined the term Yun Sculpture to reflect the natural harmony and melody these sculptures embody. Other great Chinese masters in IAMA's collection include Zang DaQian, Qi BaiShi, Xu BeiHong, Fu BaoShi, Guo RuYu, Wu ChangShuo and Huang Zhou. 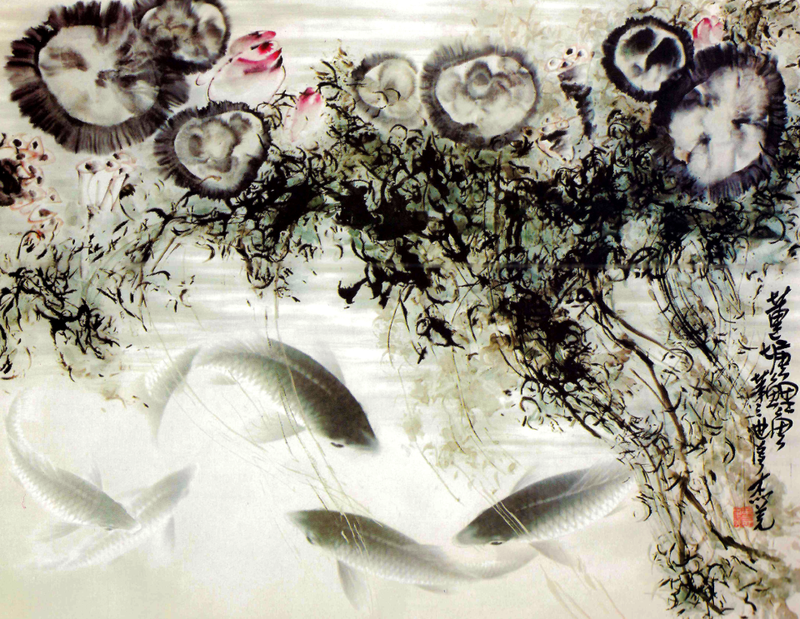 Another contemporary artist whose works are in our collection is Professor Yu Hua Shouzhi Wang. Professor Wang uses wood and paint to create sculptures that resemble large coral clusters. 雙鵝圖 A Pair of Geese, 徐悲鴻Xu Beihong, ink on paper. 潑墨螃蟹Splashed-Ink Crabs, H.H. Dorje Chang Buddha III, ink on paper. 梅林一角Corner of a Plum Blossom Grove, H.H. Dorje Chang Buddha III, ink on paper. 調樂圖Three Musicians, 傅抱石Fu Baoshi, 1940, ink on paper. Lions, 郭汝愚 Guo Ruyu, 2010, ink on paper. Carp in Lotus Pond, H.H. Dorje Chang Buddha III, 1998, ink on paper.